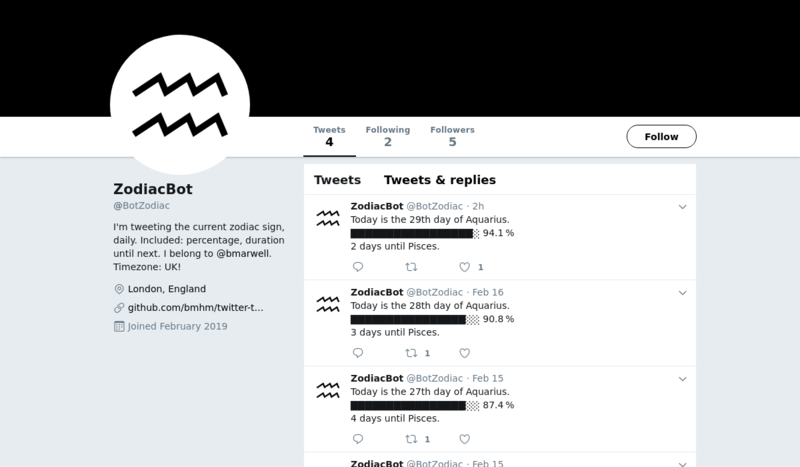 @BotZodiac is a bot for Twitter and Twitter created by @bmarwell that posts the current zodiac sign, including a percentage bar and the number of days elapsed since start and left until the next zodiac sign. The german version of this bot tweets as @SternzeichenB. Today is the 29th day of Aquarius. Today is the 28th day of Aquarius.